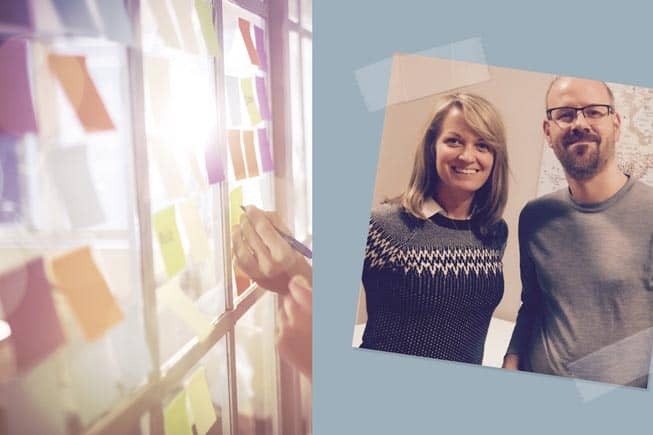 Remember DEK Technologies and their agile way of working at all levels – from engineers to HR? Get ready for more authentic leadership examples! 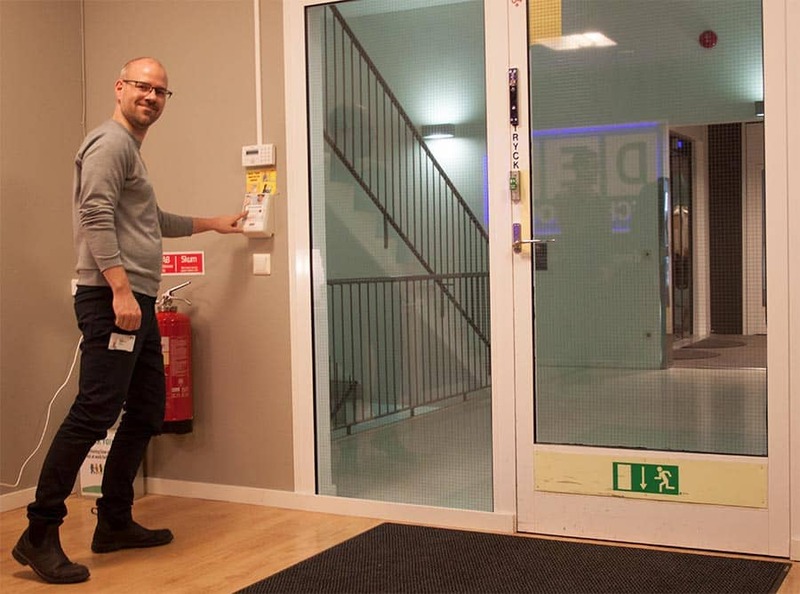 Magnus, their CEO and Frida, HR, recently spoke about their agile transformation in a Podcast over at Swedish Good, Better, Agile: From working agile as part of a team to becoming an agile organisation. They talk about what the journey has been like from an HR perspective, and from an organisation and managerial perspective. “We give as much trust, power, and responsibility as possible to each individual. This is anchored in our belief that the individuals or team involved can make the right decision”, says Magnus Sedlacek. When did you begin the journey to becoming agile? Magnus, CEO: In 2012 one of our customer asked us to send a team of consultants that was going to be working agile. So we said ‘Of course we can do that!‘. We started working agile then, slowly but surely making our way forward. Most of our engineers were already working in some way in a team that worked agile. During 2014 we thought we should take our next step; not just in how we worked with our customers but our entire process. The selling process, the hiring process, HR, and finance. Magnus: I was at Scania’s production and they work intensively with Lean. I think the entire transport industry does. What I saw there was a kind of ‘team thinking’. The whole company was focused on doing one thing together despite the fact that they all had different roles. Some screwed trucks together, others were doing all the planning, and others were designing. They did everything as a team. If something went wrong, everyone helped to fix the problem. It creates enormous security, job satisfaction, motivation, and engagement from everyone in the company. That also leads to more productivity. Then I started working in IT and Telecoms, and there we didn’t work that way at all. We worked with traditional waterfall models. Then I got in contact with agile working and Lean around 2008 and started thinking back to my time at Scania. I realised that there was incredible developmental potential in agile working within product development. And that people could find job satisfaction and passion through succeeding as a team. I think we see an increase in productivity when working agile, but we can also say that we see an increase in job satisfaction, and less sick leave. You can also look at it cynically from a business perspective and say that you need fewer managers, and have fewer costs. There are lots of possibilities, it depends on which approach you choose. Magnus: I think there are several positive aspects of agile working. There is an aspect as well, in the trend in society, to push more responsibility on individuals. Generally this is a social trend: that we pass more and more responsibility on to people. That each individual should take greater responsibility for themselves, for their own development, and for their own performance at work. What is authentic leadership at DEK? What has the agile journey that you’ve made with your organisation looked like practically? Frida, HR: The biggest change, in my opinion, is that we involve the staff in everything we’re doing. We started in the hiring process: If you started working at DEK, you weren’t just working as an engineer or developer where you go to work, do your job, and then go home; we’re looking for someone who shares our values and our vision, and will be with us on our journey to developing DEK as a company. With that, we try to involve everyone, and be transparent about it. We’re trying to work as our team works, but on an organisational level. We have retrospectives on a company level, not as often as we do in our teams, but twice a year; and in these we go through everything that has been good, everything that hasn’t been as good, what we should keep doing, what we should stop doing, and so on. We also have designated Kanban boards that we have for different areas within the company. With these we break everything down into tasks and have sprints that last around a month at a time. These can be for HR, for administration, or for selling. Everyone is also welcome to come to our weekly standup meetings where we go through all of that in about ten minutes or so. Anyone can take up the tasks written on these boards, it’s a concrete thing where we try to involve everyone in the company. What’s the employee engagement like? Frida: I’d say that it’s getting better and better. I think that engagement has been the challenge. To shift from the way of working where you go and get an answer or help from your manager, to the way of working where we turn it all around and try to find the answer from our employees themselves. The more we work in this way, the more we talk about it, and fight for it, and continue; the more people get engaged. But as time goes on, and the more we involve people, more people come on board. Do you have any examples of how it shows practically in the organisation that you work agile? Frida: From an HR perspective we’ve completely stopped having employee surveys once a year. HR cycles tend to be quite long, here we try to work with constant communication and regular check-ins. 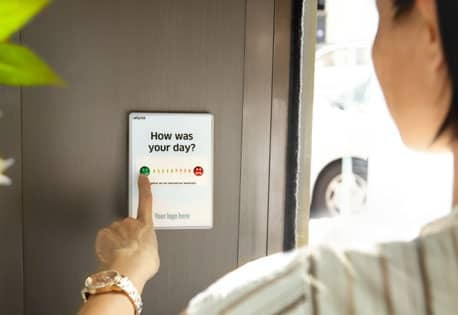 We do that with the retrospectives, but also with something we call ‘Daily Pulse‘, where everyone can click a red or green light before going home from work. For those that aren’t necessarily here in the building, we’ve developed an app so that they can also click red or green. This gives us a CSI, where we see how people felt today, this week, or this past month. With that we can make comparisons and see if it’s going up or down; it’s quite easy to look through and take the necessary measures if it goes down drastically. Frida: It’s an index that you get, with a percentage. It shows us how satisfied the people working with us are on a scale from zero to one hundred. CSI stands for Customer Satisfaction Index, but here it’s an Employee Satisfaction Index. How do you follow up the answers or the results that you get from the index? Frida: On one hand we open it up so that everyone can share improvements, and on top of that we try to encourage people to come regularly with improvements and tasks for our ‘improvement boards’. It’s also possible to post improvement suggestions anonymously. Magnus: It creates a great routine, where people get used to giving feedback, which is something we can be bad at doing in Sweden. This helps us all to get used to constantly giving feedback: ‘That was good, that wasn’t good, we can improve that’. And we can measure trends; where it might not be interesting day by day, but the trends over time are interesting. Our goal is that this year we’ll have over 85% green lights on average. The last I looked that was what it was. It’s interesting to see the trends over time, and see if we have people who are happy when they go home each day; it’s very important to us. We sell people’s competence here, we don’t sell products. All we have here, are people who come here each day and decide that they’re going to work. That’s why it’s important that they’re satisfied and happy, and want to come back tomorrow and perform. That’s essentially what we live on. Magnus: As a general manager I don’t have an office, instead I practice ‘management by sitting around’ – instead of sitting in my own office I sit with different teams for months at a time. In that way I get contact, the organisation is visible, and I get a feeling for how the organisation is working. We’ve definitely got several concepts that I can’t remember right now, from Management 3.0 – the book with lots of ‘work outs’, where there are several concepts you can take and implement and get authentic leadership examples. And your customers, are they affected and do they notice that you work agile? Magnus: Yes, I guess you can say so. We give as much trust, power, and responsibility as possible to each individual. This is anchored in our belief that the individuals or team involved can make the right decision. We believe that affects the speed at which we act. Both in the team when we are implementing or developing things, and around other issues. The feedback we get from our customers isn’t just about what we develop in our services, but also how we behave towards them. Our follow-ups, our interpersonal communication: that we are easy to work with, that they appreciate that we’re straightforward and clear, that there aren’t any hidden agendas. That it’s simple and easy to discuss things with us and that they don’t need to go to a manager, but can go to the team and consultant that they’re sitting with and speak to them in order to solve any problems. Frida: Another piece of feedback we’ve had is that it works really well when we bring in a team and from day one they deliver and work as a team. I think that has a lot to do with agile working. What the future for agile organisations is going to look like! Are you interested in creating a transparent workplace like DEK? Where your employees give continuous feedback on what could be improved? Get inspired by DEK and start with a more authentic leadership. The 1st Celpax is free. Hej! I’m Rebecca, people analytics enthusiast and co-owner at Celpax. 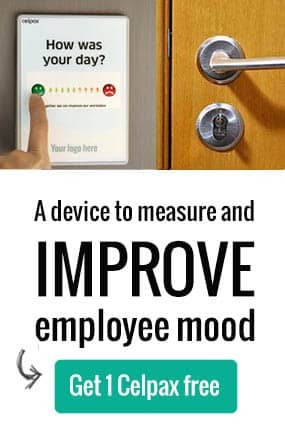 We’re a for-profit helping workplaces improve employee morale with simple tools. Say aloha on twitter to talk about how to create more authentic leadership?